Sturdy and reliable construction. Kindly suggest to use our attached 3M glue to secure, to make it more firm. For rough walls, we recommend that you use screws as well. 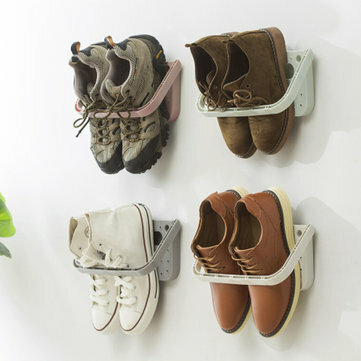 Wonderful design hanging shoes rack, can keep your home looks tidy and clean. Sturdy and durable material, made to last. Perfect gift for your family, parents or friends.